Ecosphere+ is excited to announce that International energy company Shell, energy provider Greenchoice and the green clothing brand DutchSpirit have joined the REDD+ Business Initiative. The Initiative is designed to help companies integrate the conservation of tropical forests in their strategy to tackle climate change. 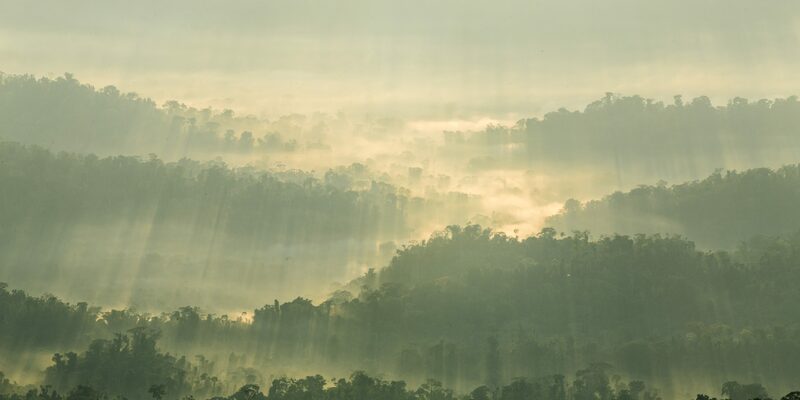 Ecosphere+ is a strategic partner to the REDD+ Business Initiative and our Tambopata project is the flagship project supplying forest-based carbon credits members can use to achieve their climate and sustainability targets. The Tambopata Biodiversity Reserve project in Peru will reduce four million tonnes of CO2 by 2021 through protecting vast expanses of the Amazon and is habitat for many critical species including jaguars. The carbon finance generated through carbon credits provides local livelihood opportunities for smallholder farmers to transition to sustainable production of commodities like cocoa. International energy company Shell, energy provider Greenchoice and the small green clothing brand DutchSpirit have joined the REDD+ Business Initiative. The Initiative is designed to help companies integrate the conservation of tropical forests in their strategy to tackle climate change. Rudi Daelmans, Chair of the REDD+ Business Initiative commented: “We are delighted with these new members. The involvement of both two high-profile and established market leaders in the energy sector and a small green market leader in the clothing sector in the initiative is testament to the fact that global businesses, as well as small green pioneers are beginning to appreciate the importance of sustainable land-use in helping to mitigate climate change. We hope that the participation of the new members in this scheme will encourage others to join us in our commitment to manage climate risk, invest in eco-system resilience and make progress on the Sustainable Development Goals”. The REDD+ Business Initiative was established by the Dutch energy companies Eneco and Essent, flooring company Tarkett (formerly Desso), trading company Cocoanect, the Dutch Development Bank FMO, climate markets company Ecosphere+ and CSR Netherlands/De Groene Zaak. The partners signed a cooperation agreement in 2017 to jointly invest in forest management and sustainable agriculture in the tropics based on ‘REDD+’. REDD+ stands for Reduced Emissions form Deforestation and Forest Degradation, a framework for the conservation and sustainable use of forests in developing countries, agreed through the United Nations Framework Convention on Climate Change (UNFCCC). REDD+ activities target the underlying drivers of deforestation to reduce greenhouse gas emissions associated with deforestation. Deforestation accounts for 10% of global CO2 emissions, and is one of the biggest threats to both the climate and the worlds biodiversity. Conversely, stopping it is one of the most effective measures in the fight against climate change – bringing immediate results. A recent study showed that natural climate solutions can deliver 37% of the emissions reductions needed to achieve our Paris Agreement goals in the 2030 timeframe. The announcement of Shell joining the REDD+ Business Initiative is in line with the launch of their new programme to enable (corporate) customers to offsets unavoidable emissions from their vehicle fleets. This is now offered in the Benelux, and fits with the company’s ambition to reduce its net carbon footprint, covering not just emissions from its own operations but also those produced when using Shell products. Nature-based solutions such as REDD+ play an important role in this ambition, especially as a bridging solution for emissions that cannot yet be avoided. Marjan van Loon, president director Shell Nederland: “We need every solution that we have to limit global warming to 2° C and preferably to 1.5° C. Nature has a critical role to play in mitigating climate change. Investments from businesses will help to scale its contribution”. Greenchoice already has a history in REDD+ and has been investing in international forest projects for the last 14 years to compensate for the CO2 emissions of their customers’ gas consumption through forestry projects in seven different countries. It is making the organization a major contributor to the fight against climate change and in involving customers in nature based solutions. It ties in with the vision of the organisation to make real work of a cleaner and green world. New to the market of emission reduction through forest conservation is DutchSpririt. For each suit sold, the unavoidable emissions for making that suit will be compensated with forest credits. The members of the REDD+ Business Initiative support the Tambopata-Bahuaja Biodiversity Reserve as its Flagship project. This project preserves 820.000 ha of threatened forest in the Amazon and advances sustainable economic development for local communities. It supports 400 local smallholder jobs and avoids 4 million tonnes of carbon emissions by 2021. The project is financed with the revenues of the sale of premium products (mainly cocoa) and verified carbon credits to the REDD+ Business partners and others. The carbon credits are sold by Ecosphere+, part of the worldwide operating Althelia Climate Fund. Just one solution that can be implemented to help limit warming to less and 1.5 degree is that of insetting. A carbon credit is 1 tonne of carbon reduced or removed from the atmosphere. As such, carbon credits can be used by those that emit carbon, to rebalance the levels of it in our atmosphere.